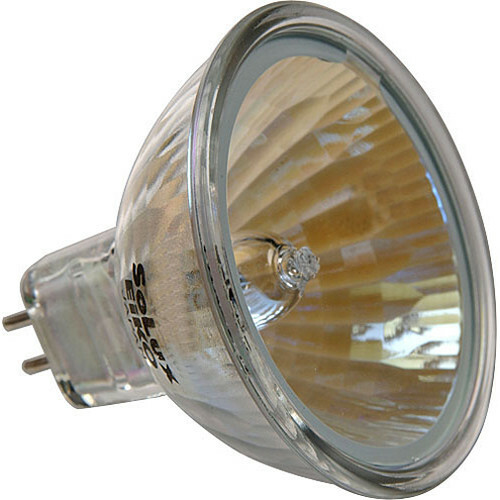 This EiKO SoLux Halogen Lamp is a 12V, 35W bulb designed for display applications. It features an integrated reflector and front glass that produces a 36° flood beam, and offers a high CRI of 99 along with a color temperature of 4700K. Box Dimensions (LxWxH) 2.3 x 2.3 x 2.3"
SoLux Halogen Lamp (35W, 12V, 36°, 4700K) is rated 5.0 out of 5 by 1. Rated 5 out of 5 by Alena from Eiko SoLux Halogen Lamp excellent quality! delightful color reproduction! happy with the purchase!! !